The Inland Railway project is one of Australia’s most ambitious plans yet. It has the potential to revolutionise freight operations between Melbourne and Brisbane, but such a huge project comes with its own fair share of questions and controversy. As the project continues it progression, plenty of talking points have been raised and here are some of the recent issues surrounding the project. During his tenure as deputy prime minister, Australian politician Barnaby Joyce made an announcement that the Coalition Government had allocated a near $10 billion for the construction of the project. The budget came from former prime minister Malcolm Turnbull as a means of repaying for the National Party cooperation prior to overthrowing his predecessor Tony Abbott. Turnbull was reluctant at first, but eventually agreed and insisted that the funds be sourced off the federal government’s own railway company, Australian Rail Track Corporation (ARTC). Future revenue generated from the project will pay off the loans from the ARTC. The funding was only mentioned in the fine print during Joyce’s public announcement which led most voters to believe that the funds came from regular government grants. What happened was Joyce proceeded with the project without allocating a single penny of the government funds and it turns out that it was only a mere publicity stunt to garner more votes without his full commitment. Future governments are in huge trouble once they are forced to handle the huge tabs. Aside from being a high-capacity freight line, Inland Railway also aims to connect cities between domestic and international trade markets. Current planning suggests that the railway project will take up to a full decade to finish linking Melbourne and Brisbane. Within those years, the interest on the ARTC loans will continue to increase rapidly. It’ll take another decade for freight traffic to be able to generate enough revenue to pay off the loans. To make things worse, huge operating losses will continue to pile up those loans, inevitably leaving the ARTC bankrupt over the course of the project. The Inland Railway project can only attain proper viability if it was funded without debt, something that both Joyce and Turnbull were aware of before closing in on the deal. Their actions were deemed one of the most irresponsible in recent Australian political history and could have been avoided with more thorough planning. Running freight trains from Melbourne to North Star has always been feasible by building a standard 300k gauge railway that connects Moree to Toowoomba. This track can send air freight from Toowoomba International and act as a freight hub for the entire South East Queensland, but they failed to consider this option. An estimate of only $3 billion in taxpayer funding was needed if they decided to build the railway. Freight trains can run from Melbourne to Toowoomba and back which can generate revenue and would have placed them many years ahead of their plans. Creating shortcuts and upgrading in New South Wales could then be slowly implemented over the years with small yet consistent funding from taxpayers. There’s no need for the proposed expensive track that connects Toowoomba to Brisbane since it’s much better to build the Inland Railway onto Gladstone. This track could potentially open up a big regional development opportunity in several different regions like Central Queensland, Maranoa, and the Darling Downs. 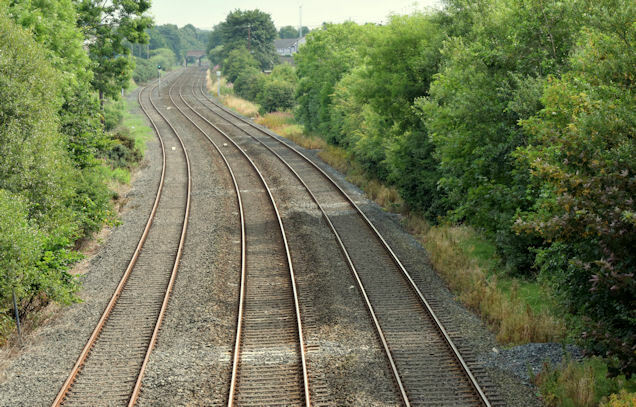 The Inland Railway project is widely being considered as a saviour to the freight industry, but the impact it has on farmers cannot be understated. Prime farming land is ruined and the landowners are experiencing collateral damage while coping with some of the worst droughts in recent memory. Properties will be split in half because of the track and farmers will struggle to move their equipment and stocks from one side of the track to the other. Current infrastructure minister Michael McCormack has allocated a budget of around $300 million to upgrade the rail track that connects Parkes to Narromine. He stated in a previous announcement during a groundbreaking ceremony that it would cost $160 million. This unnecessary upgrading won’t even send a new freight train on the line to North Star which could result in a massive rise in overdraft. The proposed shortcut rail track is part of McCormack’s checklist for the Inland Railway project where it caused quite an uproar from farmers located in Narromine and Narrabri. Resumption negotiations have been fierce and nearly 300 farmers agitated McCormack during a recent public meeting. Evidence suggests that Barbaby Joyce may have orchestrated the protest as a similar uproar in Queensland is happening as well. 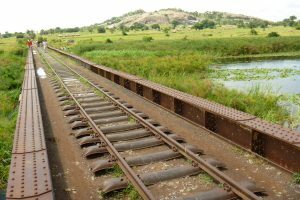 Back in June 2018, a new alignment proposal for the Inland Railway was made wherein the route would bypass several towns such as Gatton, Laidley, and Forest Hill. Members of the community complained about the potential safety risks of allowing double-stacked freight trains to traverse paths that are in close proximity to the towns mentioned. This proposal seems counterintuitive to the potential benefits that would provide everyone easier access between domestic and international markets. The inland Railway is a great national development project that’s marred with controversy, thanks to the mishandling of political and bureaucratic powers. The potential to revolutionise freight transport has turned into an unacceptable farce that might end up costing the nation hugely.